KenFlo wants another chance to get the belt, and he must top Maynard this time. But "The Bully" is after the title too, and will swish away anyone that's on his way. Yes, they are both after the title, and they've got the right argument to do so. 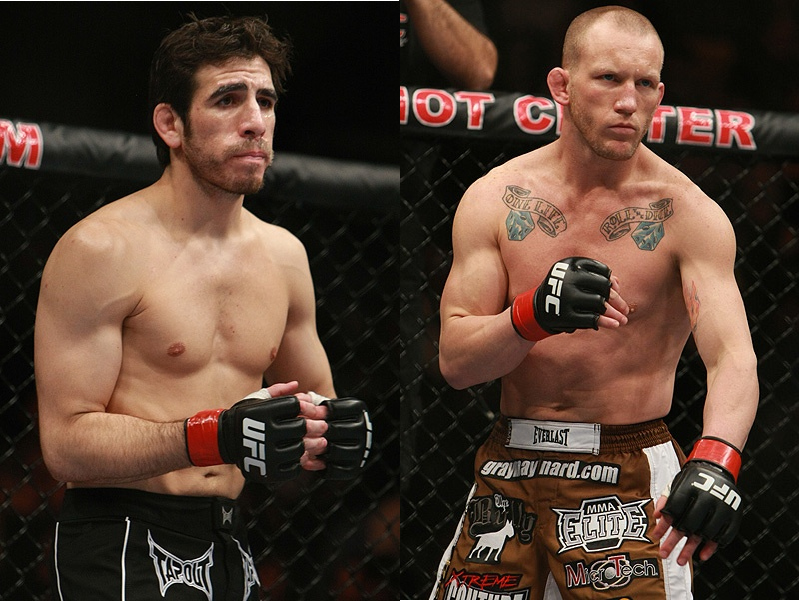 During the Boston Press Conference last Wednesday, UFC President Dana White confirmed that the winner in Kenny Florian versus Gray Maynard fight can a have shot to the UFC lightweight title. Are they legitimate for a fair shake at the belt? Of course, they are! Though he failed to get the gold twice, Florian took down Clay Guida and Takanori Gomi. If in case he beats Maynard, that would give him another chance to earn his way back. Meanwhile, Maynard has a professional record of 9-0. And for him, Florian is the only block on the road to the crown. But just to whom the shot will be against remains to be seen, as Frankie Edgar puts his belt on the line against B.J. Penn at UFC 118 on Saturday night.